Johannesburger, Alard Hufner, is a 43 years old stunt rigger in the movie industry, setting up stunts or cameras. 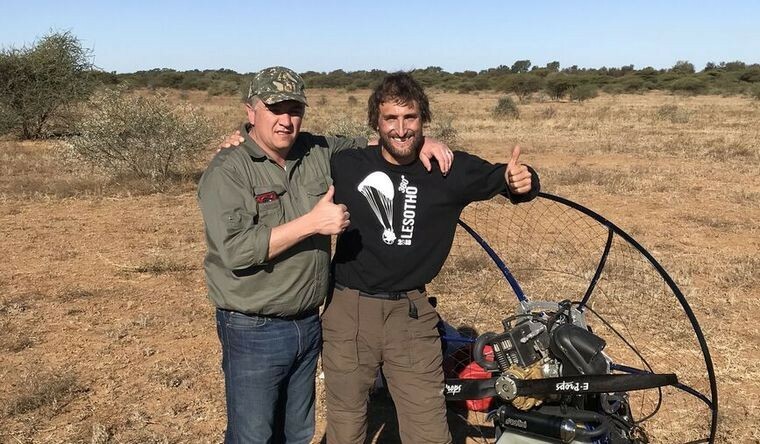 He got involved in Powered Paragliding Gliding (PPG) through a friend who told him about it and he was instantly interested, so he did a course and bought a Parajet Zenith with a Polini 200 Thor Motor and a Ozone Speedster 1 size 28 wing. Alard, who also do some paragliding has been flying PPGs since 2010. When asked how many hours he has he simply said "many." 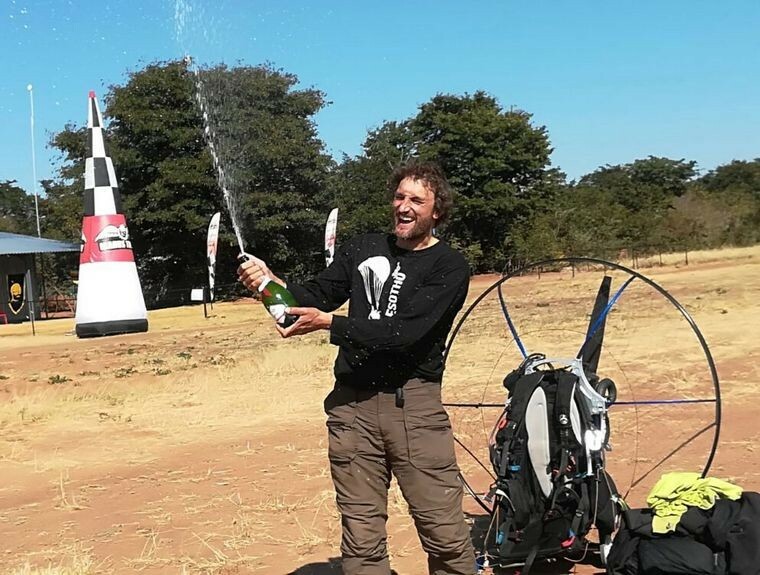 Asked why the Icarus Trophy Alard said, "I loved the idea of flying a Paramotor from Hartebeespoort Dam to Vic Fall, what a great adventure! 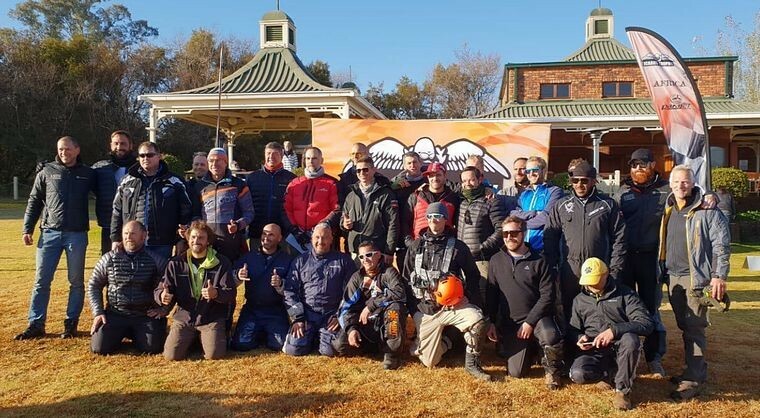 Earlier in the year I had taken part in the warmup race called the Icarus X which was held over a weekend around Hartebeespoort Dam to Bela-Bela and back, and on that event I won the entry into the main Icarus Trophy. 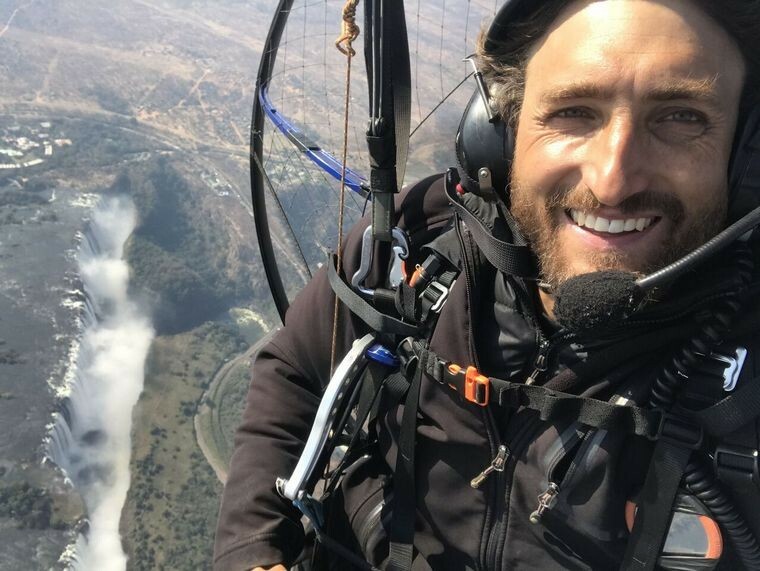 The second attraction of the Icarus event was the possibility of flying over Vic Falls." Alard's race went amazingly smooth. On day one, the person who was supposed to take off ahead of him was not ready so he got the go ahead to take off 1st. 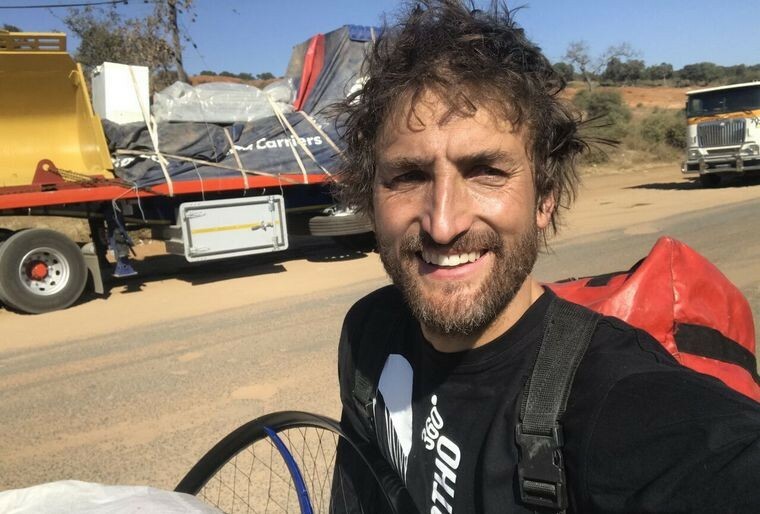 "My take off went fairly smooth considering all the extra fuel and kit I was carrying. I flew for 4 hours and covered 240km straight to Lephalale, where I landed and refuelled. Then onto Stockpoort border to land and cross the border, then onto Palapy where I landed on a football pitch right next to a camp site. I set up camp and walked into town to get fuel and some snacks." Alard recalled. 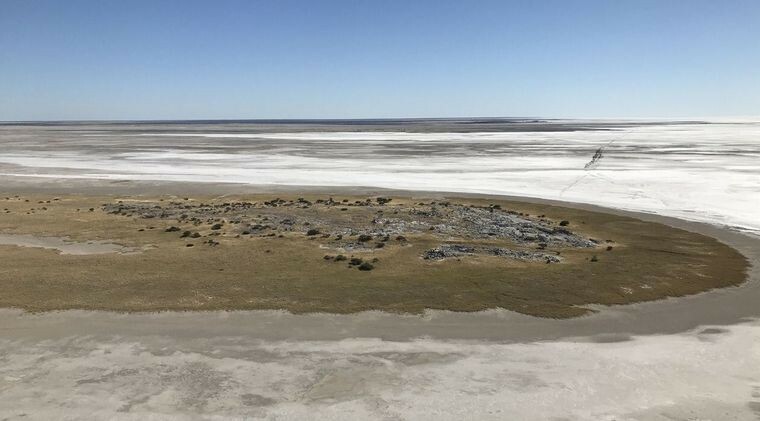 On day two, he took off at 6:36 ( take off time was from 6:35 ) and headed in a straight line for Kubu Island in the Sua Pans Botswana, this was another 4 hour flight of 240 Km. Landing at the magnificent Kubu Island with its huge Baobab trees he was met by the race organisers Eneurin and Kester. Here he was only allowed to refuel with 10 L before heading off to Elephant Sands, where he was allowed another 10L of fuel for the last flight of the day was towards Panda Matenga. 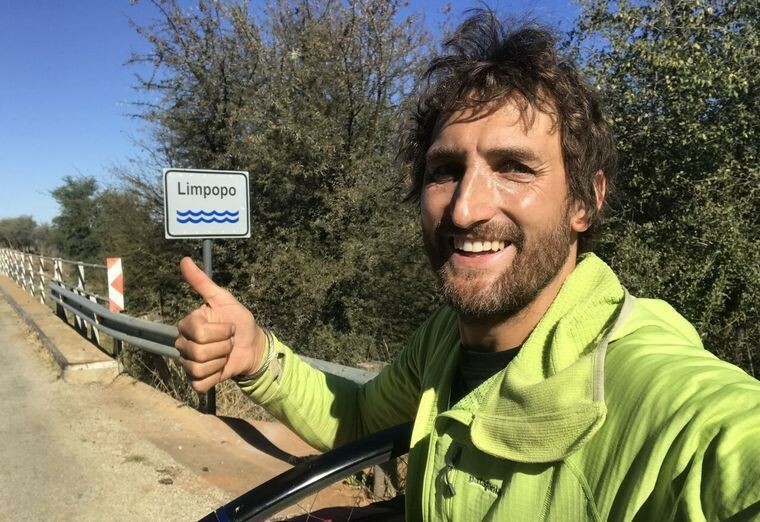 He had headwind on the last flight and did not reach his destination in time before the 18:05 cut off so he had to land 15 Km short of Panda Matenga on a farm where he was welcomed by the farmer and was offered supper, beer and a place to sleep. Having flown 500km sleep came easily. Day three and he managed to buy some fuel from the guys on the farm and headed to the Kasane border post. "I landed at around 10:00. 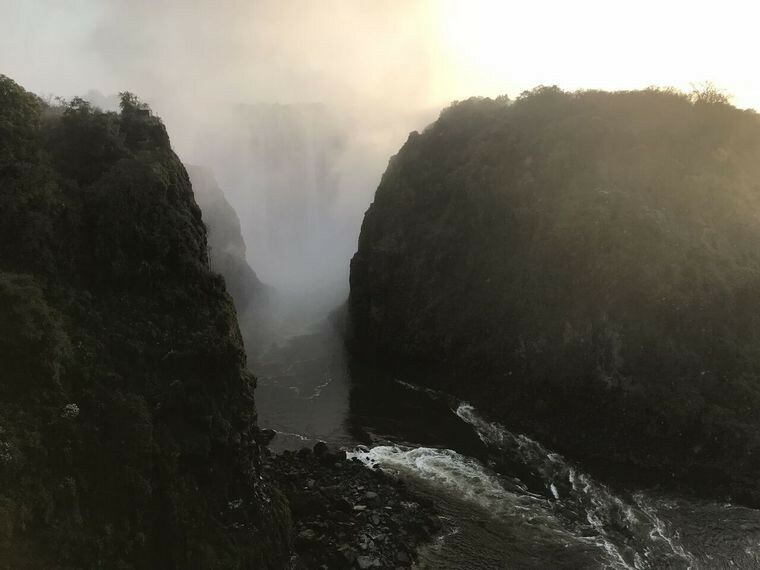 Exiting Botswana was easy," Alard said, "entering Zimbabwe was a long process. I sat at the border for 10 hours till 20:00 at night waiting for the Zimbabwe authorities to grant us permission. Apparently the Zimbabwe Ministry of Tourism had not forwarded the Zimbabwe CAA permission to border control. Whilst waiting at the border post I knew Sebastian was catching up to me and he arrived around 14:00. It was great to be able to chat to him and find out about his adventures so far. 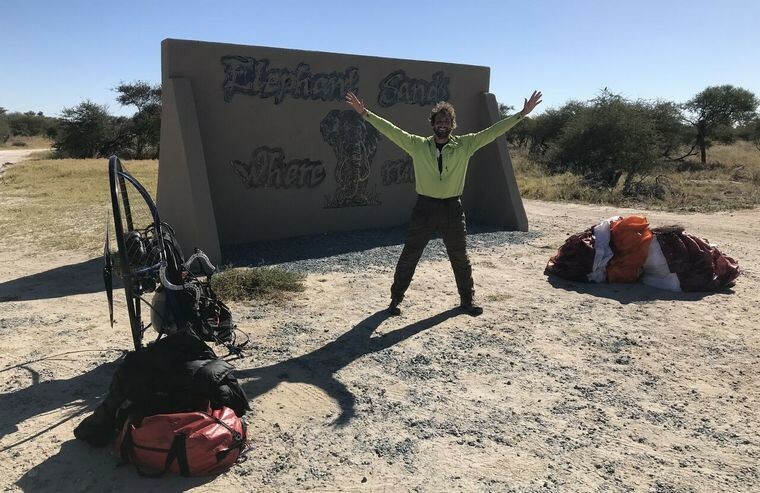 Around 20:00 that night we were clear to go, but as there was no accommodation on the Zimbabwe side we headed back into Botswana and found accommodation in Kasane." On day four they were up early and got a lift on a bakkie and crossed the border easily as all paperwork had been sorted the day before. 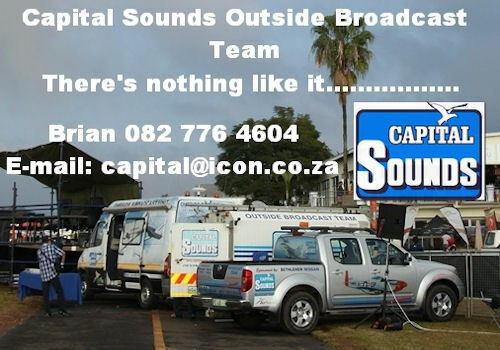 The bakkie dropped them off a few km away from the border at a spot where they thought was good for take-off. Sebastian took off but landed shortly afterwards as his throttle cable attachment broke. They were busy fixing it when two lions crossed the road 50m away. This was the scariest moment of their trip. Luckily they managed to catch a lift with an overland truck back to the border, where they found a good take off spot. "Sebastians throttle cable broke again, and he waived me on and I continued to the finish. 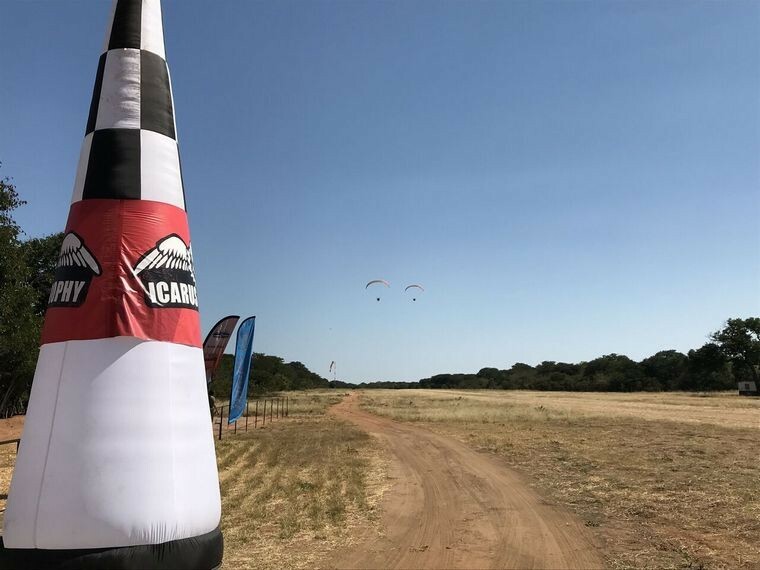 The finish line was at a small airstrip 20km West of Vic Falls. It was great seeing the big mist spray from the falls as I was coming into land. 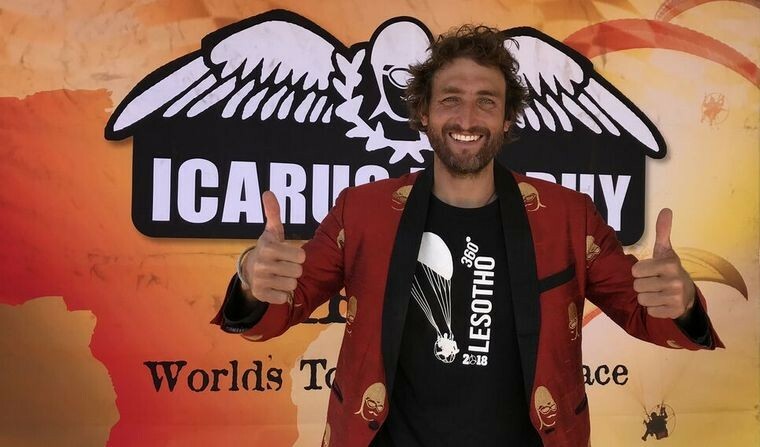 Alard was the first to arrive and took the title as the winner of the Icarus Trophy, the world's toughest air race. Over the next few days the rest of the participants arrived, by air and car. The race organisers managed to get permission for a Vic Fall Fly over and this was definitely the hi-light. 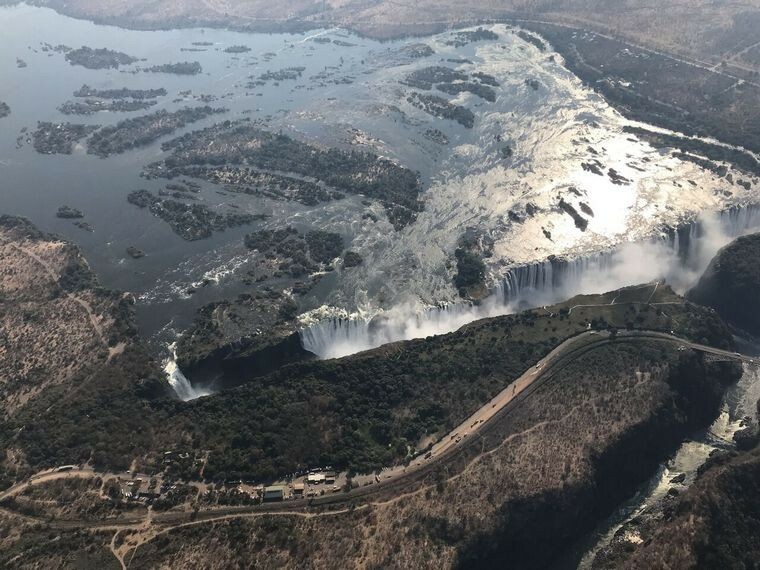 Flying over the Falls was magnificent and great way to sum up a fantastic adventure. Asked would you do it again? Allard replied, "Yes I would love to do it again. The next race is in Brazil."